‰Û¢	HK Style Hooks are best suited for smaller sling eyelets found on H&K weapons, SCARs, SIGs, or other smaller eyelets. ‰Û¢	The HK Style Hook has a 1‰Û sling slot and fits on Padded/Unpadded Vickers Combat Applications Sling ‰Û¢	Install with an Elastic Hook Cover to minimize noise and protect finish *** Not recommended for elongated AK eyelets as they may accidentally disengage if rotated at the appropriate angle. 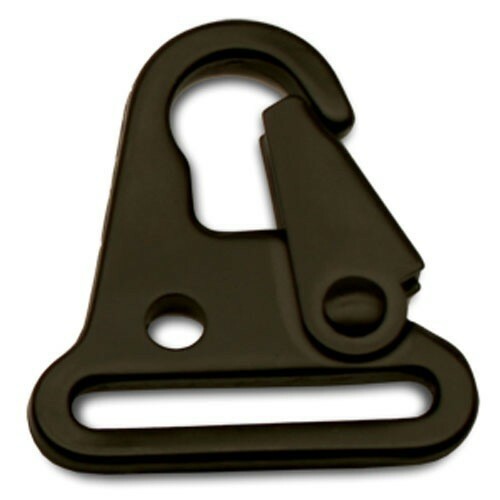 A better option for front eyelets on AKs are the Universal Wire Loops or MASH Hooks *** As with all Blue Force Gear, it is made with excellence in the USA and carries a limited lifetime warranty.